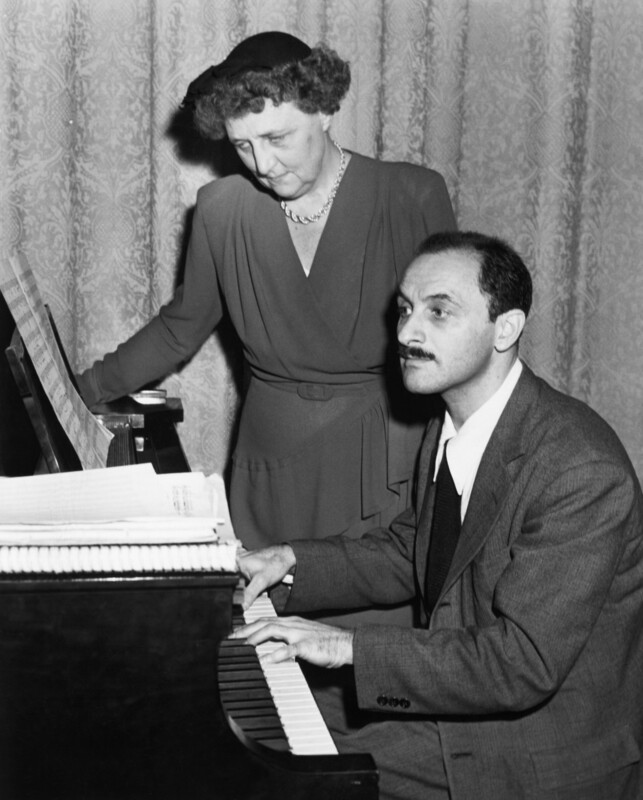 Composer Marc Blitzstein at the piano, circa 1946. Born and raised in Philadelphia, where he attended the Curtis School for Music, Marc Blitzstein (1905-1964) won national attention in 1937 when his pro-union musical The Cradle Will Rock opened on Broadway. When the WPA locked the cast out of the Maxine Elliott Theater, the cast and musicians walked with the audience to the nearby Venice theater. There, without costumes or sets, they performed the production, directed by Orson Welles, as Blitzstein narrated at the piano.